Justin Pearson knocked in three runs as the Raton Osos (5-4) took home an 11-6 victory over the Las Vegas Train Robbers (2-9) at Gabriele Park on Saturday. He homered in the second inning and singled in the fourth and fifth innings. Kellen Quintana had an impressive outing against the Las Vegas Train Robbers lineup. The Las Vegas Train Robbers managed just one hit off of Quintana, who allowed one earned run, walked three and struck out six during his four innings of work. 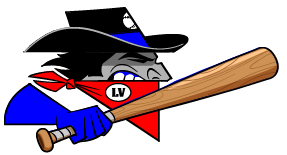 Despite the loss, the Las Vegas Train Robbers Matthew Paz dominated the Raton Osos batters, giving up one run and striking out five. Shane Casey racked up three RBIs on one hit for the Las Vegas Train Robbers. He homered in the eighth inning. Ryan Ward was charged with his second loss of the year. He allowed six runs in four innings, walked four and struck out one.